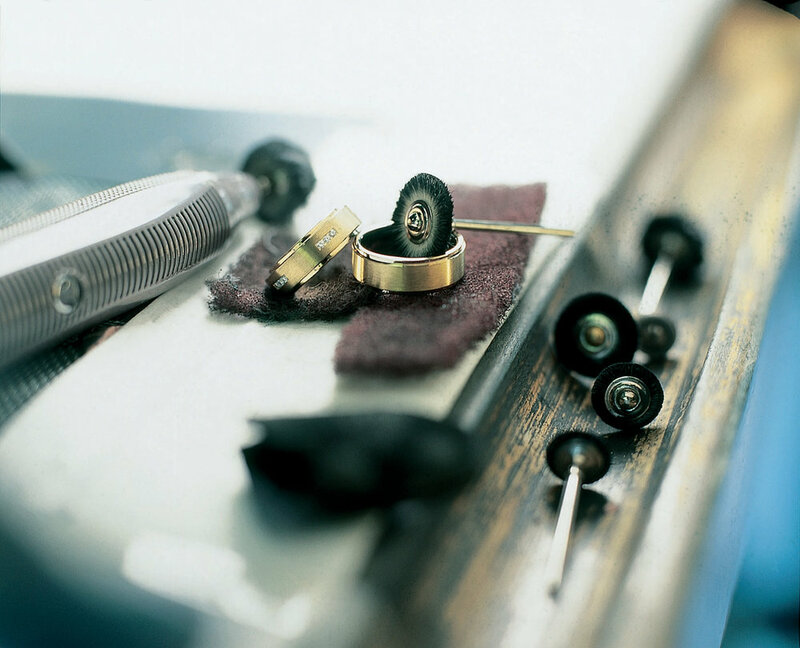 Based in Oswestry and established in 1996, The Ring Workshop has developed an enviable reputation for designing and creating the finest wedding rings. Our philosophy is quite simple – to provide our customers with an unrivalled choice, exceptional quality and a unique service. With over 16 years experience we believe we’re well qualified to advise and assist with what must be the smallest, but most significant, part of your big day! Exchanging rings as a token of love and commitment is an age old practice. Beyond your wedding day, the rings will be one of the few lasting symbols of your commitment and a sign of love and permanence. The wedding ring is probably the smallest, but most significant, item and its choice deserves some careful consideration. "The rings are absolutely perfect and we couldn’t have wished for anything better!" At The Ring Workshop we recognise that many of our customers are looking for something a little different – a unique piece designed and executed to an exacting specification. Our commission service is here to help when the occasion demands – we manufacture and can manufacture to your specification.